apples Archives - What the Forks for Dinner? Looking for an adult-type beverage without the booze? 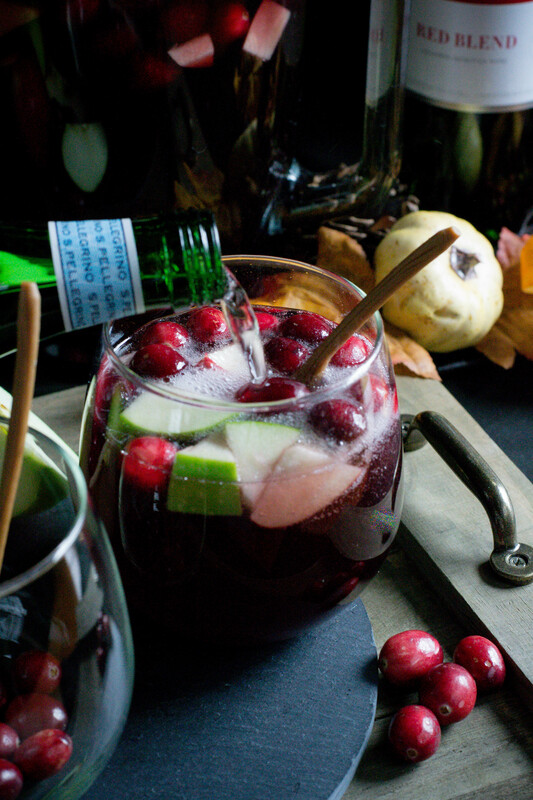 Alcohol Free Cranberry Cider Sangria is the perfect fall drink! 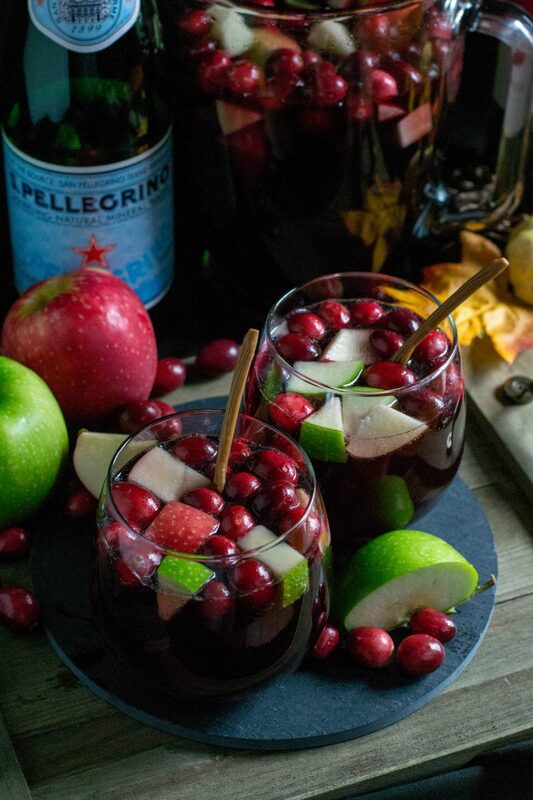 Sangria is thought of as a summertime drink, but infuse it with apples, and cranberries…two fall favorites and Alcohol Free Cranberry Cider Sangria transitions into fall with ease. Apple orchards are a popular fall destination for many. Picking apples and pumpkins….hayrides, corn mazes, and apple cider. 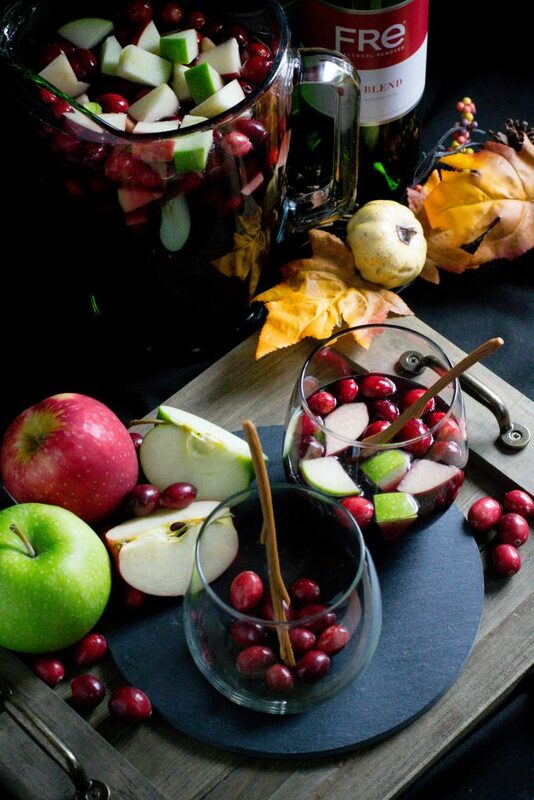 Pick up some apples and apple cider and you are on your way to a delicious fall drink. Cranberries are another fall favorite and their season ramps up just in time for fall. They lend a tart sweetness to savory or sweet foods. Alcohol free wines and beers are more readily available than ever before. It’s become chic not to drink. Many of these beers and wines have pretty good taste for those who prefer not to partake. Since neither Tim nor I drink these “free versions” make it easy to use faux wine for recipes. Alcohol Free Cranberry Cider Sangria is an easy to make nonalcoholic drink, just dump everything into a pretty pitcher and add fruit. To serve add ice to a glass and top with your favorite sparkling water for a little fizz! Pour non-alcoholic red wine, apple cider, cranberry juice, orange extract or orange zest, and simple syrup into a decorative pitcher; stir to combine. Add cranberries, and diced apples. To serve: Fill glasses about 2/3’s full adding ice if you wish and top with sparkling water. 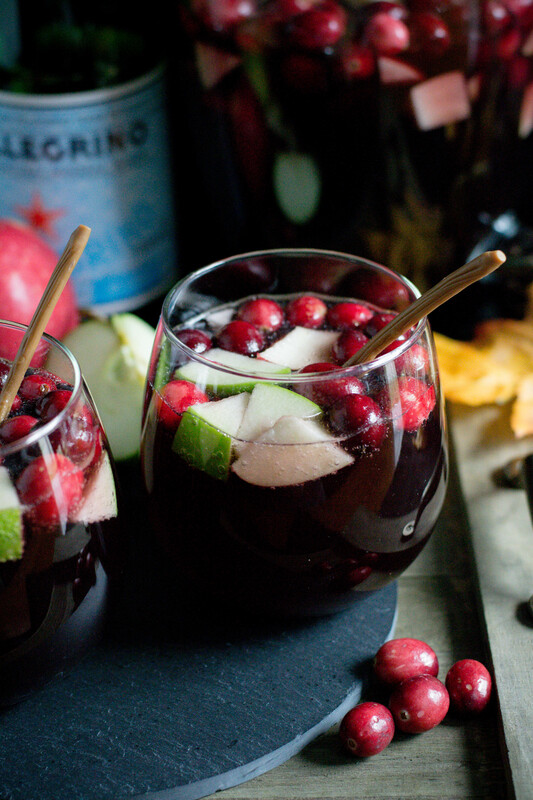 Garnish with apples, cranberries, and a stir stick. 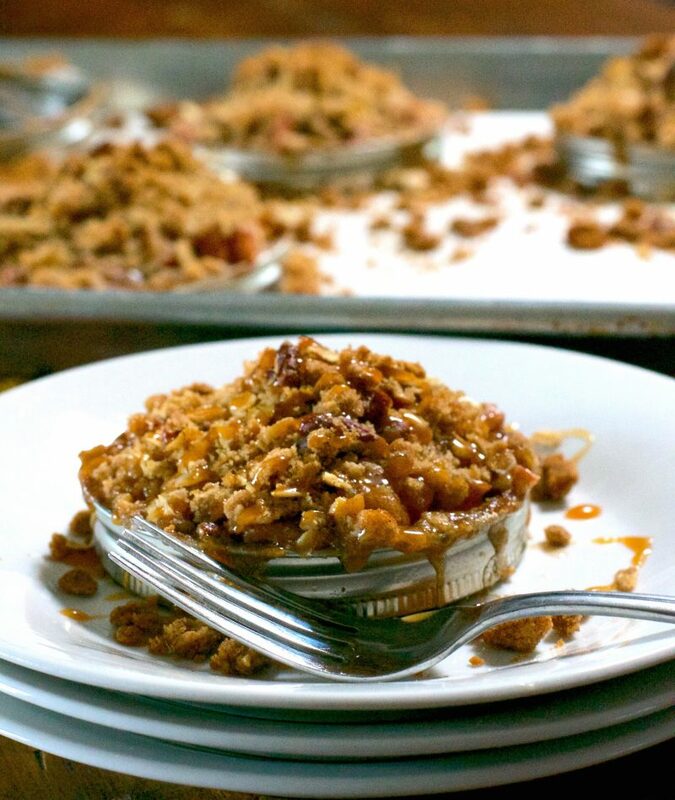 Caramel Pecan Apple Crisp Rings were so good we had dessert before dinner……cause we can…..these were too tasty to wait. Plus they are cute as hell!!!!! Apples are finally in season …..they are truly my favorite fruit. I eat an apple a day…….not sure it keeps the Dr. away? I have a fabulous recipe for apple crisp that I have had for years. It was originally a microwave recipe, that I modified and used all the time. I think the pecans in the topping make the recipe. So, how could I revamp an already great recipe to make it even better???? So glad you asked………make them individual and add caramel…….they are truly too die for! 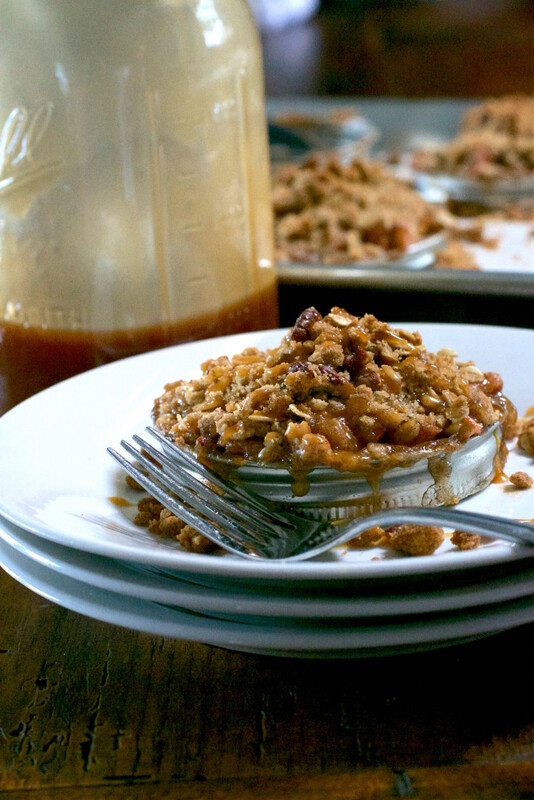 A cross between apple crisp and apple pie! I must admit that I saw the mason ring idea on Pinterest……brilliant! 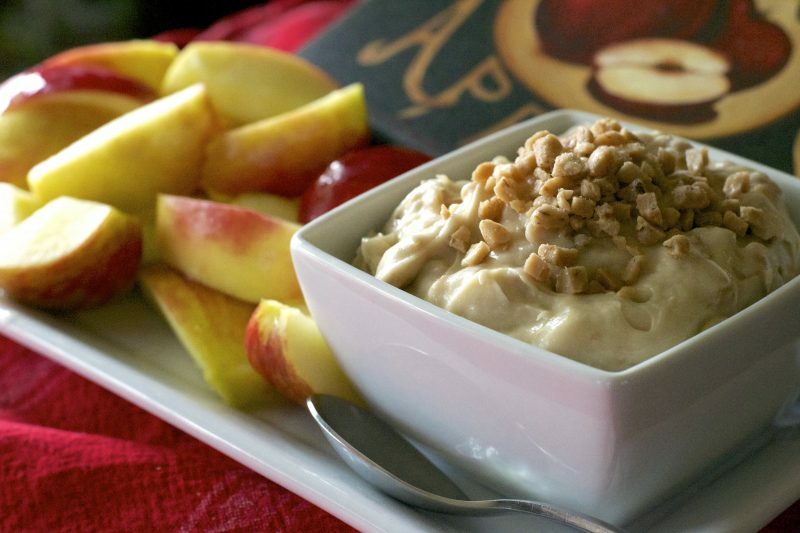 This simple apple dip takes just minutes to prepare, has only five ingredients….well excluding the apples. 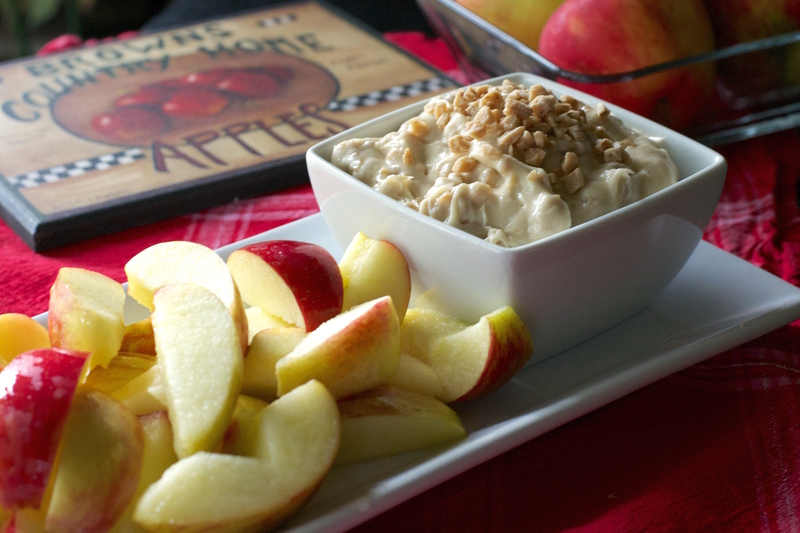 Whipped Toffee Dip and Apples is a spin on a snack we serve at school.